More cozy living room than coffee shop, Cuppies & Joe scores with Gazette readers for combining two of the most irresistible things we know: cupcakes and coffee (as if the name of the place wasnt clear). As delicious as the sweets are, Cuppies & Joe takes just as much care with the hot stuff, featuring the gourmet coffee of OKCs Elemental Coffee Roasters. If loving the Gran Sport Port  an aromatic and chocolaty porter with dark, malty goodness  is wrong, a DNR (a Belgian-style golden ale) will make it right. Best of OKC winner since 2008, the complex flavors of Coop Ale Works are here to stay. From Horny Toad, a craft with slight hop and bitterness, to Native Amber, a balanced hops and malt, every palate is sure to get the quenching it longs for. Where theres a Big Truck Tacos truck, theres sure to be a long line of people awaiting the goodness it serves up. Carnivores and vegans alike can rejoice for this sweetheart of a truck that has blazed a trail for other mobile food pop-ups in the metro. Try The Rancher if meat is your thing. Opt for The Zig for a vegetarian delight. OMG! Dont forget the sauce. Jimmys Egg sports 14 locations in the metro, with tasty and affordable breakfast selections ranging from traditional eggs, sausage and hash browns to the lighter side with oatmeal and sweet potato pancakes. Its little wonder that Gazette readers have selected Jimmys as the best breakfast for  get this  the past 15 years. Brunch is serious business. And Ingrids Kitchen gets that, which is why it offers the best of all worlds. Ingrids presents an impressive array of European and American pastries, traditional German sandwiches and a soft spot for polka bands and dancing. Its a sweet little multicultural oasis under one roof. Oh, it has booze, too. Whether its sandwiches, pizza, salads, soups or pastas, Saturn Grill is the place to get lunch when youre on the go (personally, were gaga for the chicken salad and blackened wild salmon sandwich). Oh, and fine wines and beers are available to wash down the bistro-quality food. Oklahomans know their burgers and buns, so its pretty meaningful when they deem your burgers to be tops in the metro. S&Bs Burger Joint has won over Gazette readers with such enticing masterpieces as The Fatty, The Elvis and The Hot Lips Houlihan. A newbie to our Best of OKC, The Mule boasts a dazzling variety of breads, cheeses, meats and flavor creations. Nothing on the menu exceeds $10, not even the Macaroni Pony, made with jalapeño cornbread and chipotle barbecue pulled pork accompanied by three-cheese macaroni and cheese and a pickle. Established in 1996, Earls Rib Palace is Gazette readers top place to chow down on some old-fashioned, mouthwaterin, tongue-slappin barbecue. Whether fact or fiction, the story of Earlywine Earl Jackson contends that he traveled with and cooked his many barbecue recipes for the King himself, Elvis Presley. No wonder Earls customers are treated like royalty. Hideaway Pizza is about as Oklahoman as red dirt or college football. The culinary staple has been slicing and dicing since 1957  the second pizzeria in all of Oklahoma, in fact  expanding from a tiny Stillwater joint into a pizza powerhouse with five metro locations. Theres a reason this local chain has staying power. Presidents and royalty have dined at the legendary Cattlemens Steakhouse, including George H.W. Bush, Charles Barkley, Reba McEntire, Toby Keith, John Wayne and Gene Autry. Filled with a colorful past and dedicated to great food, Cattlemens is certain to be feeding Oklahomans for generations to come. Try the lamb fries; just dont think about it. Still holding strong with Best of OKC bragging rights, Sushi Neko has been the reigning king of sashimi since 2008, and in the top three since 2000. The restaurant boasts a menu full of traditional and contemporary styles of sushi, as well as a sake and beer menu that pairs nicely with all meals. Put the Red Canyon roll on your list of OKC must-haves. For vegetarians who refuse banishment to the salad bar, Coolgreens has your back. This healthy-chain establishment lets you customize just about everything on the menu, from vegetable pizza to frozen yogurt and, of course, colorful salads. Its the upscale answer to Subway, complete with real silverware and a selection of alcoholic beverages, which are definitely vegetarian. When people say patio weather, what they really mean is The Mont patio weather. This Norman favorite, after all, is practically synonymous with outdoor dining. When the sun is shining and the temperature is cooperating, few area establishments can compete with the al fresco vibe of The Mont. Lets be real: Byrons is a godsend. Conveniently located and exceptionally priced, with a selection of booze thats plain intoxicating (figuratively and literally), the Warehouse can quench the thirst of everyone from cheap drinkers to refined aficionados. The complex is over 10,000 square feet and features more than 6,000 wines and 1,500 beers. Just dont try them all in one sitting. With speedy Wi-Fi and tasty sandwiches and bagels, plus a bakery with sweets you can take to-go, its easy to understand why Gazette readers wish they could claim Panera as homegrown. It features a daily soup  like lemon chicken orzo and bistro French onion  and even caters. Step one: Go to The Shack. Step two: Order the oysters. A fire at its building at N.W. 62nd forced the restaurants relocation, but its still serving the same fresh, delicious seafood. Plus, after repairs are made, The Shack and its stellar menu will be available at two places. In the meantime, check out its scrumptious brunch. If you like cake, youll love La Baguette! Stop by and try a bombe au chocolat, Italian crème or one of the delicious cheesecakes. Or maybe live a little by skipping the cake this time and trying a French pastry or tart. Whatever your fancy, La Baguettes dessert case is full of top-notch tasty treats. While the food definitely stands out as something not commonly found in OKC, the ambience is what makes this hotspot truly different. Check out Bossa Nova at The Top, Midtowns first rooftop bar. And dont forget the unique appetizers and traditional Brazillian cocktails! We cant pass up a fresh-made, warm tortilla, and you shouldnt either. A longtime favorite for Tex-Mex connoisseurs, Teds plates up a variety of dishes to satisfy those Mexican-fare cravings. As if the food wasnt enough, its service is consistently first-rate. Best Latin restaurant CAFE DO BRASIL 440 N.W. 11th Cafe do Brasil features food from all five regions of Brazil. Be adventurous and try Picanha Brasileir, a picanha steak served with rice and collard greens, or Feijoada, a Brazillian national dish. Or stop by on a weekend morning to enjoy its justifiably famous brunch. Sure, Zios is a chain. But if ever there was a chain that captured the essence of Oklahoma, its this one. With stellar service, alluring ambience and a spicy chicken Alfredo thats approaching urban legend status, Zios is the fine dining experience (with Italian panache) youre looking for. Willkommen to a little taste of Germany right here in OKC. Bratwurst, knackwurst, schnitzel, all the sauerkraut you can handle  for 35-plus years, Ingrids has been gut! And dont forget to check out the nuessecken and streusel for dessert! Hummus, anyone? For more than 20 years, Zorbas has been satisfying our chickpea cravings and so much more. Its loyalists come back again and again for  among other items  the mouthwatering gyros, baba ghanoouj and flavor-packed paella (available only on weekends). And that doesnt even include the belly dancing on weekends. Opa! This marks the second consecutive year that Gopuram Taste of India, around since 1994, has topped Gazettes Best of OKC vote for best Indian restaurant. Most of the masalas at this temple of turmeric can be sampled on the daily buffet, so deciding between entrees becomes a naan-issue. Its the second consecutive year that Musashis Japanese Steakhouse has earned the top spot, so its safe to say the sushi and hibachi chefs must be doing something right. Its also a great place for celebrating birthdays or, well, life, and the fare is sure to please even the pickiest of eaters. With the plethora of choices for Chinese fare in OKC, how did Dot Wo Garden claim sweet and sour victory? Maybe its the famous pot stickers, a full sushi menu or the restaurants sleek interior with modern waterfalls and statement cherry blossom trees. Serving the metro since 1989, the restaurant offers private dining, lunch specials and online ordering and reservations. 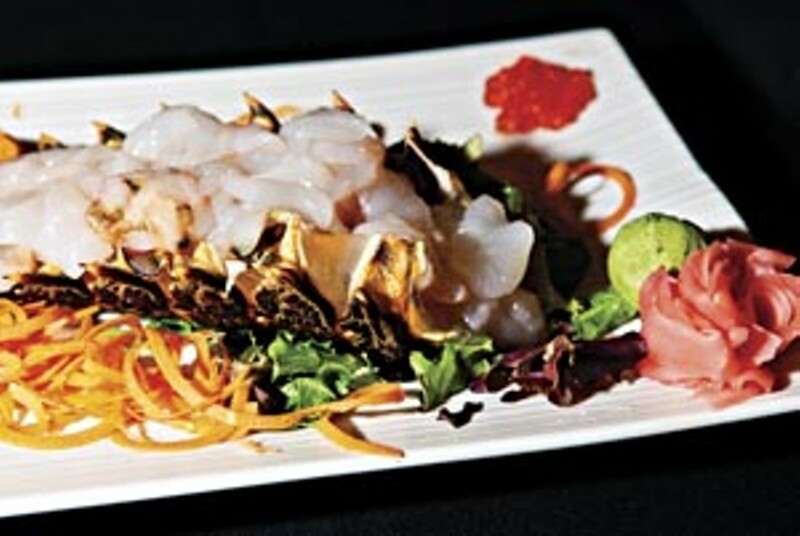 Catering to both vegetarians and carnivores, Thai House II is tops in Thai among Gazette readers. It features a nifty weekday lunch buffet and a wide range of options for dinner. The menu is reasonably priced and changes seasonally. Try the lemongrass-infused Thai tea or any of the noodle dishes to see why the restaurant is a favorite of Thai food fans. From a Vietnamese kitchen, one might expect East Asian comforts like a vermicelli bowl, beef noodle soup, charbroiled shrimp or curry frog legs. But Lido also cooks up Chinese and even French cuisine as well. People of the metro dont mess around when it comes to their pho. And this year, the most boss of broths is bequeathed to Pho Lien Hoa. An Asian District staple since the 90s, Pho Lien Hoa serves up incredibly authentic and fresh pho. In case youre reading this with eyebrows raised, pho is a traditional Vietnamese beef noodle soup garnished with fresh mint, sprouts and basil. The Mule is wowing foodies with a winning combo of sandwiches and beer, catering to a variety of hungry folks, barbecue lovers and herbivores alike. With cheese sizzling on the skillet and hoppy froth flowing over the glass, the new kid in the Plaza District has wasted little time becoming a beloved stop for lunch or late night on weekends. Since 1997, Cheevers has been serving outstanding American cuisine with a southwest-inspired flavor. It has one of the best brunch menus around and features daily and nightly specials with a full-service bar. Part of the everreliable A Good Egg Dining Group, Cheevers has become a mainstay in our Best of OKC awards. Its really no secret that Oklahomans love them some Hideaway Pizza. The Stillwater-based pizza palace, which got its start back when I Love Lucy was new, has soundly conquered OKC. You can find its masterpieces of cheese and sauce throughout the metro, with its eateries creating hearty, gluten-free meals. To do: Experience the fried mushrooms. Its where everybody knows your name! No, really; some of the regulars have their names listed on the backs of comfy chairs at the bar. You cant find a friendlier neighborhood bar in the metro. Stop by for whiskey or beer, pull up a chair, listen to some great live music, play a couple board games and make some new friends. Best hotel bar RED PIANO LOUNGE 1 Park Ave.
Dont you just feel fancier when you sip a cocktail in a hotel bar? We know we do. So why not experience the class and sophistication that is Red Pianos bar in downtowns landmark Skirvin Hilton Hotel? It boasts a martini list that would make James Bond salivate. A lot of bars think pretty highly of themselves, but Grandads aspires to be nothing more than exactly what it is: a smoke-free whiskey bar/honky tonk with a neighborly, roots-minded mentality. Seemingly overnight, it has become one of the most popular destinations for patrons young and old, literally like your grandparents house ... but with a better beer selection and far fewer doillies.